The Holocaust Documentation and Education Center seeks to combat prejudice in our multicultural, ethnically diversified community by educating students and alerting them to the dangers of prejudice. Because our mission is to provide educational resources and information regarding the authentic memory of the Holocaust, our Student Awareness Days are a vehicle toward this end. 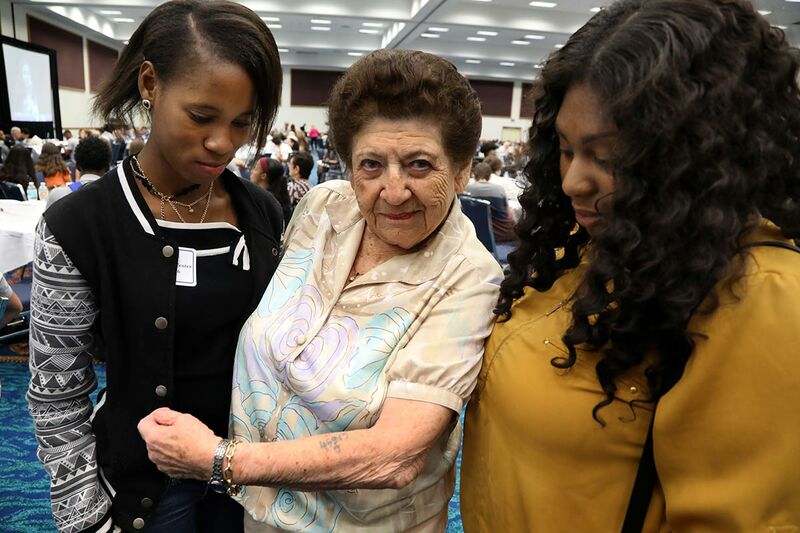 Student Awareness Days are prejudice reduction symposia whereby 250 to 1,000 high school students at each program learn the dangers of racism, hatred, and bigotry through videos, lectures, and round-table discussions with Survivors of the Holocaust. Each student and teacher who attends Student Awareness Days is provided with a free USB bracelet filled with educational resources on the Holocaust. High school students from local public, private, and parochial schools are invited to attend. Invitations are sent by the Center to principals and language arts and social studies teachers in Miami-Dade, Broward, and Palm Beach schools. Since we have been providing these programs to schools for 33 years, the administrators and teachers are familiar with these significant educational experiences and encourage participation among their students. Because character education and learning to respect one another is such an important part of what our schools teach, they work closely with us to ensure that as many of their students as possible attend Student Awareness Days. The Center has no academic or behavioral requirements for attendance and encourages students of all schools and backgrounds to participate. This unique program educates future generations about the dangers of hatred, terror, and the threats against our democratic values and freedoms. 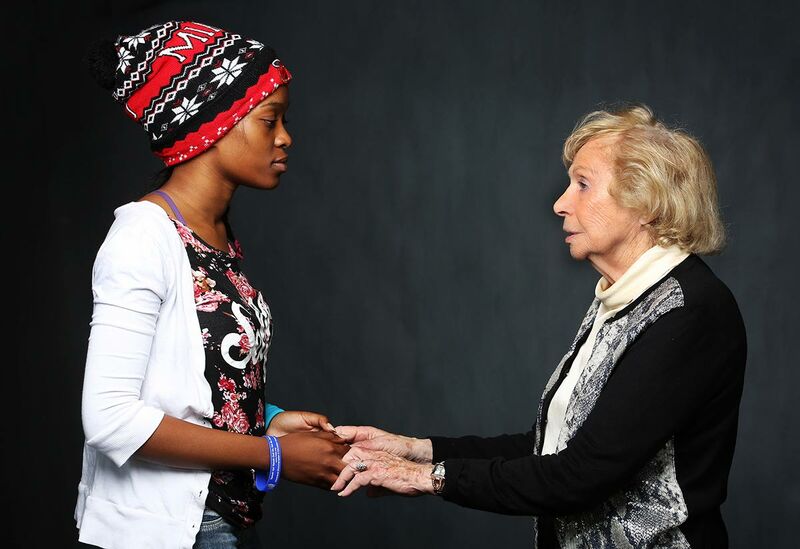 By relating to the tragic, personal stories of Holocaust Survivors, students begin to understand that no one is immune to the evil and discrimination bestowed upon them by others. Through Student Awareness Days, the Center encourages these students to learn to take a stand and become more vigilant and aware in their daily lives. They are taught the importance of standing up, speaking out, and making a difference. Above all, our goal is for all students to realize that targeting one group targets all.